New England Meteoritical Services would be happy to assist you in obtaining, trading or selling specific meteorites for your collection. In addition to our catalogue offerings, we maintain a worldwide network of collectors and a professional exchange relationship with universities and museums throughout the world. This enables us to locate individual meteorites and determine their availability. Meteorites are often sectioned or sliced to reveal their internal structure. This must be done carefully with precise cutting instruments to avoid damaging the meteorite. Specimen preparation is a museum grade specialty service provided by NEMS. Estimates for cutting and sectioning are available on request. Minimum lab cost: US$ 40.00. Meteorites are subjected to contamination from the moment they enter the Earth's atmosphere. 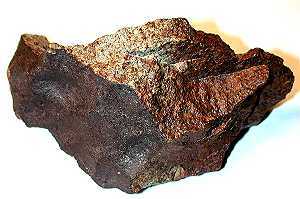 The presence of metallic iron in most meteorites makes them susceptible to oxidation. 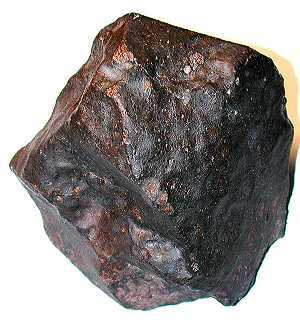 This rusting results in an increase in volume that can damage iron meteorites along planes of weakness. Of particular concern is the olivine in pallasites. The increase in volume results in pressures that can lift the olivine crystals out of the metal. Meteorite preservation, by removing or neutralizing the oxides or other contaminants, is a service offered by NEMS to museums and collectors. We will be happy to provide you with an estimate on specimen preservation, resurfacing and etching. There comes a time when it is necessary to determine the financial value of a meteorite or collection. Many factors must be considered in this assessment. Authenticity, type, classification, specimen condition, amount of the recovered mass(es), rarity and current availability of other specimens of the same meteorite are a few of the factors to be considered in determining value. Please contact us for details on appraising your collection. Man and Nature have an unfailing capability of producing strange and unworldly appearing material. 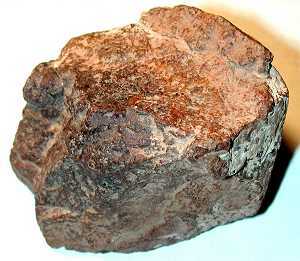 The vast majority of meteorites that are found turn out to be "meteorwrongs." 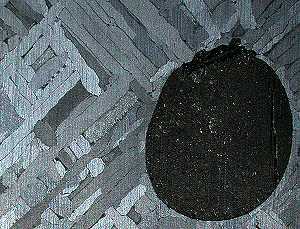 Among the many materials masquerading as meteorites are industrial slag, hematite (iron ore), lodestone, volcanic bombs, conglomerates, and dry river stones covered with bacterial or algal plaque, to name but a few.